Boost your metabolism, as well as build energy and alertness, with this blend of high-quality tea extracts and ginger. 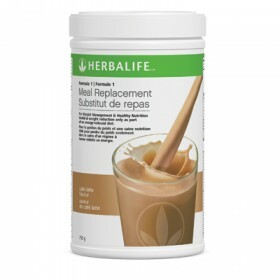 A powerful all natural herbal enhancer for more effective weight loss. New and Improved Total Control® from Herbalife is a revolutionary herbal supplement designed to transform the weight-loss process. Free from ephedra and citrus aurantium, this advanced formula works at the cellular level to help build energy, boost metabolism and promote weight-loss, giving you the support you need to finally achieve and maintain your ideal weight. 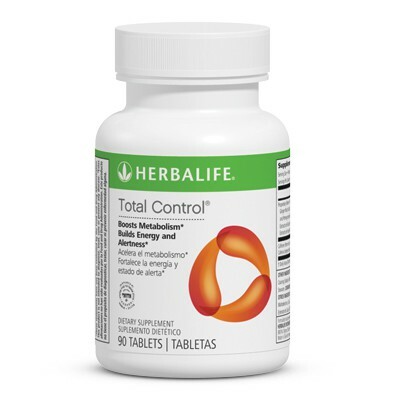 Total Control® contains several potent herbal ingredients that help you to overcome the challenges associated with shedding pounds and inches. Metabolic Boost - Green tea has a natural thermogenic and energy-boosting effect. The unique, clinically-tested form of Green tea used in Total Control® contains powerful EGCG catechins, which have been shown to inhibit the body’s fat-storing process. Natural appetite control - Yerba matי is especially helpful for weight loss because of its thermogenic and appetite-suppressing properties. In combination with green tea, rich in catechins and polyphenols, it increases energy expenditure and fat oxidation in humans. Fat burning - Total Control® ingredients help increase the body's resting metabolic rate and promote fat-burning. Additionally, it has active ingredients that help generate energy to break down fat cells. Feeling fuller - The herb damiana promotes appetite control by slowing the rate at which food leaves the stomach, helping you feel full sooner and longer. Antioxidant boost - Quercetin is a bioflavonoid that helps fight free radicals and support metabolism. Satiety control - DL-phenylalanine, an amino acid, acts on the brain and central nervous system to promote the feeling of satiety and minimize cravings. Working synergistically with DL-phenylalanine is tyrosine, an amino acid that is a precursor to the brain chemicals dopamine, epinephrine and norepinephrine. These constituents help reduce appetite. Take one tablet three times a day–with breakfast, lunch and a mid-afternoon snack. For best results, use as part of your ShapeWorks™ weight-loss program. More About Yerba Mate - Yerba Mate is one of the main ingredients in Herbalife Total Control. Read the snippet below to find out some great facts about Yerba Mate. Yerba Mate, a holly native to subtropical South America, has recently found its way into modern diet plans. Why, you ask? Because Yerba Mate tea helps detoxify the body, metabolize fat, control hunger, restore hair color, retard aging, increase libido and increase energy all without the negative effects typical of other caffeinated beverages. Safe and effective, Yerba Mate naturally aids in the achievement of weight loss and weight control. I use this tablet 2 to 3 times a day. It curbs my appetite. I would never think of not taking it. I have become dependent on it. Within minutes after I take this tablet I have no hunger whatsoever.